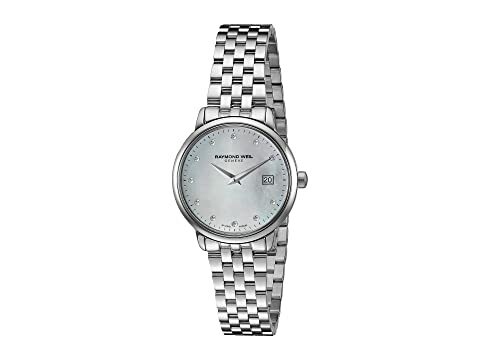 Timeless beauty to match your own is what you have with the RAYMOND WEIL® Toccata watch. Mother-of-pearl dial face features diamond hour markers, silver-tone hands, date display window at 3 o'clock, minute track at perimeter, and brand name. 11 genuine diamonds on dial totaling 0.03 ct.
We can't currently find any similar items for the Toccata - 5988-ST-97081 by RAYMOND WEIL. Sorry!